Stampin' Up! Demonstrator, Mandy Reedyk, Peterborough, Ontario, Canada: Stampin' Up! April Promos!! Check out these promos that Stampin' Up! is offering right now!!! From April 1-30 only, you can buy the brand-new Awash with Flowers Two-Step Stampin' set—or get it FREE when you host a $460 workshop! View the flyer to see the beautiful creations you can make with the Awash with Flowers set—then contact me to place your order or schedule your workshop. 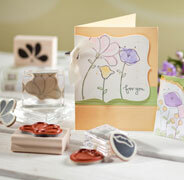 From April 1-May 31, join Stampin’ Up! 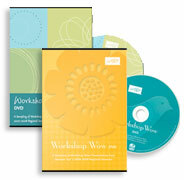 as a demonstrator and receive two FREE technique DVDs. Contact me, or click Start Your Own Business, to learn more. Use the kit for letters, invitations, or a special dinner menu—there are so many possibilities! 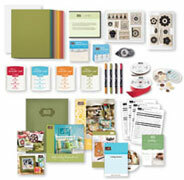 In addition, Country Living is offering Stampin' Up! customers a special deal: get 10 issues of Country Living magazine for just $26! For $2.60 an issue, you'll receive great craft projects, articles on collecting, makeover features, recipes, and entertaining ideas—all delivered to your home each month. Click here to learn more or contact me for extra savings!. 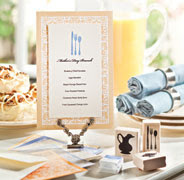 Combining My Digital Studio with traditional embellishments and other Stampin' Up!® products allows you to not only effectively showcase hybrid projects, but also demonstrate projects using non-digital elements. Contact me today to get started! I am My Digital Studio Certified!! !